On the brink of their sold out ‘GA21’ UK live tour, which will see the dance music duo return to the live stage for the first time since 2013, Andy Cato and Tom Findlay are set to release a limited-edition football shirt in aid of charity. In collaboration with the football merchandiser Bands F.C., half the proceeds will go to the ‘Music Support’ group, which provides support for individuals in the UK music industry suffering from mental, emotional or behavioural health disorders (including but not limited to alcohol and drug addiction). The shirts will be extremely limited in number and are available to purchase at all shows on the tour, as well as online from 30 November. The concept has been designed by Bands F.C, whose aim is simple, to create bands as football teams and football teams as band through their designs. Having previously merged football badges and band names together for the likes of The Charlatans, Echo and the Bunnymen and many more, Groove Armada’s badge is based on Plymouth Argyle F.C. Controversially using Exeter City F.C.’s colours; Plymouth Argyle’s bitter rivals. 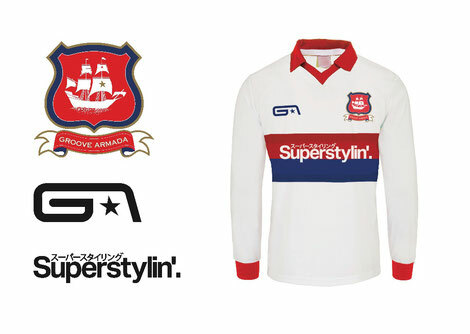 Groove Armada are also launching a supporting campaign to supply an under-13 girls’ football team with the limited shirts for the upcoming season. Running alongside the charity aspect, Tom and Andy are inviting girl teams to send in a video that best captures their club’s spirit; a goal, a killer tackle, a club anthem, a video of them making as much noise as possible. 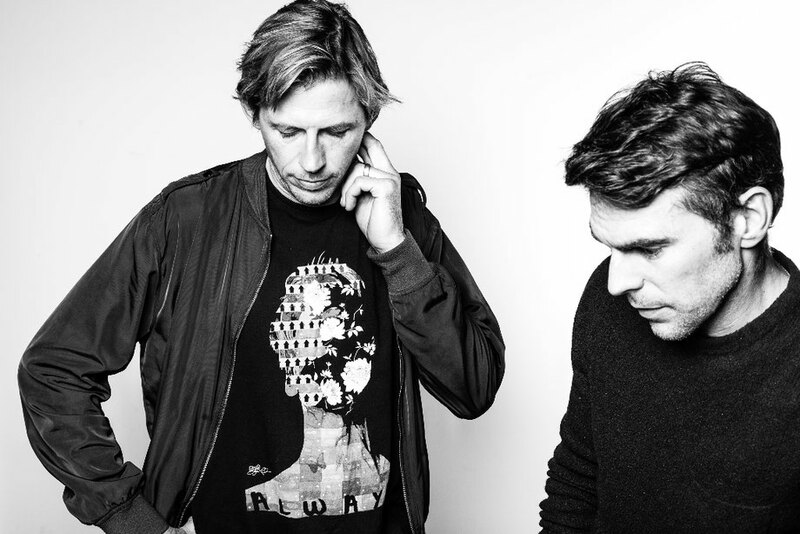 Entries must be uploaded directly to Twitter or Instagram, tagging the Groove Armada official page. All videos will be reposted via Groove Armada’s social media networks.